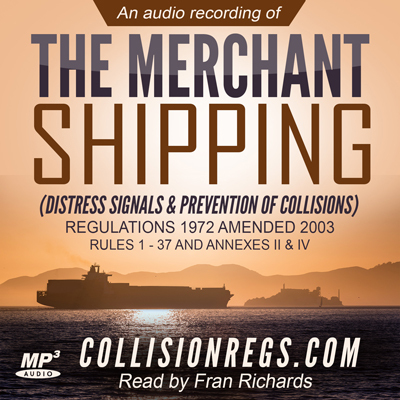 The following PDF documents are courtesy of the MCA and are MSN 1781 and amendments, otherwise known as 'The Merchant Shipping (Distress Signals & Prevention of Collisions) Regulations 1996 - amended in November 2003. The second document details the amendments from November 2003 and the third notice details amendments to Annex IV (Distress Signals) from November 2007. Check out our super range of accompanying books which are available to be ordered through Amazon with fast delivery. These books cover many useful subjects including the Colregs, which will help you to be successful in passing your MCA Oral Exams.